You are the best defense against invasive species. You have the power to protect healthy ecosystems by becoming a Backcountry Monitor. 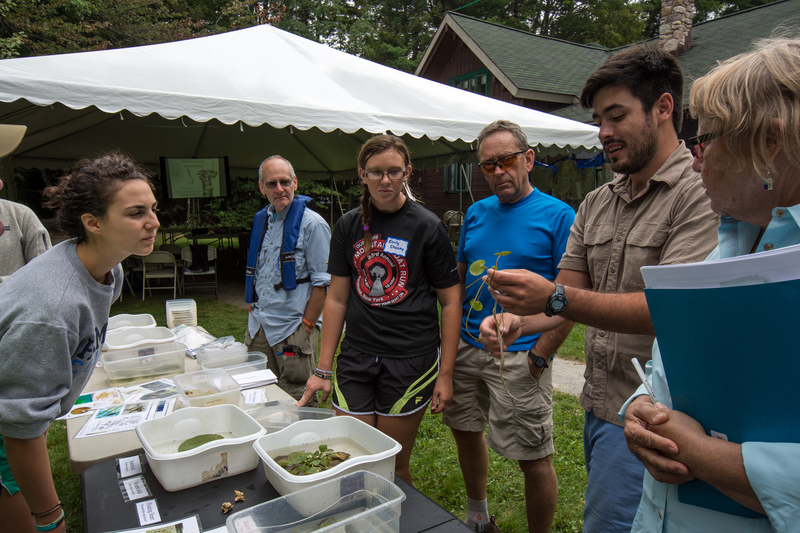 Sign-up for a workshop below and learn how to identify and report invasive species. For more information contact conservation@adk.org. Northeast Alpine Flower Watch Please help us monitor flowers blooming on your favorite peaks by participating in the Northeast Alpine Flower Watch! Join us at the Heart Lake Program Center on April 20 to learn how your photos can help protect threatened Alpine habitat. Backcountry Water Monitors Do you paddle on remote waterways in the Adirondacks and want to help protect them from aquatic invasive species (AIS)? Backcountry Forest Monitors Help spot Hemlock Woolly Adelgid (HWA) in New York State. Sign-up for Workshops and Outings.